Small Acts of Freedom is a testament to the strength that binds families together. Three generations of women who’ve had to fight their own battles resiliently display the very qualities in their roots and upbringing that makes them so. Dating back to 1947, Gurmehar recounts stories about her family, as they wade through the loss that follows war, Partition and the uncertainty of their future. This nonfiction narrative beautifully captures pain and the innocent musings of a child who is yet to come to terms with the reality of our world. 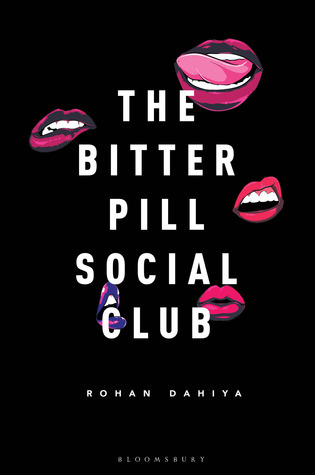 In the introduction to this novel, the author briefs us about the violent clashes that took place between students of Ramjas College, Delhi and an All-India student organization, ABVP. It is the sheer courage, the need for change that resonates in her writing that had me glued to the book from the start; it also provides context to this book. I don’t read a lot of nonfiction, but if they are anything like this one, sign me up! The timeline of the stories shuffles back and forth over the course of many years. A majority of the chapters are from the perspective of a three year old Gurmehar, so the writing style is very crisp, coloured by the curiosity and innocence of a child. Once you begin reading those chapters, you simply can’t look away because of the stark honesty and sometimes, astonishing clarity you’d find there. Some of the thoughts that take shape throughout this book are so raw that they pierce your heart. This is in no way a depressing book. The reason why I found myself tearing up quite a bit was because of the pain and loneliness that permeates the writing. And it’s so much more impactful coming from the voices of little children. It addresses very important themes like communal animosity, war and freedom. It builds a story around these themes, urging you to reflect at the state of our world and not stay silent in the face of adversity. This had been one of my most anticipated reads of 2018 and I loved it so much! It spoke to my heart. 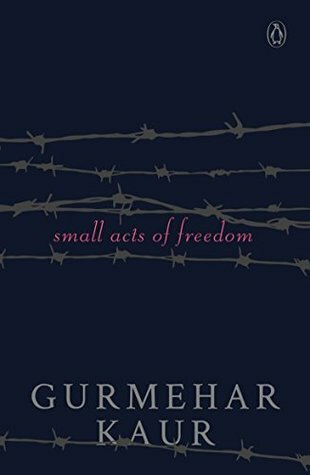 I would recommend Small Acts of Freedom to everyone! It releases on Amazon India on 15th February, 2018, so keep an eye out for it. What do you get out of it? A heart wrenching story about how families shape us and give us the very essence of life to keep persisting. Thank you Penguin India for sending me this book in exchange for an honest review. 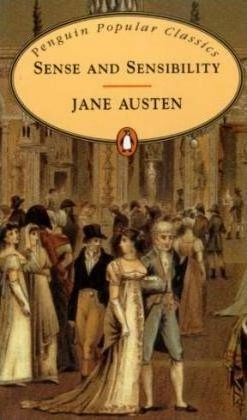 Austen’s writings always have a touch of romantic intrigue, positing atleast one character in an unstable relationship. Sense and Sensibility is no different in that regard, but it allows us a glimpse of harsh familial realities when wealth is in question. Mrs. Dashwood and her three daughters, Elinor, Marianne and Margaret, are forced to leave their home in Sussex and move to Barton for reasons best described as unfortunate and estranging. It is here that Elinor must cope with being separated from Edward Ferrars and Marianne finds a handsome beau in Mr. Willoughby to lessen her sorrow of being distant from her childhood home. Many social calls and acquaintances later, the two sisters come to realize just how many double standards govern the society. I love Jane Austen’s books, but Sense and Sensibility was a little too overwhelming. Reading the unabridged version felt like reading a book in slow motion. Every scene is described in such detail that you feel like even though nothing much is going on in terms of action, you’re still unable to move past it. Don’t get me wrong, I’m in awe of her writing style! As you’d probably know, her books tend to be very wordy, with long drawn out sentences and unusual word usage. That style of writing is allegorical of her times and enables her to narrate the story of each character with a precision that’s unknown today. And I admire that! It’s just that it took me forever to finish this book… The plot has many similarities with her other works. But somehow it never gets old. I really like how the novel doesn’t aim for a HEA for all the characters and just leaves some of them dealing with the broth they’ve cooked. The reason why Mrs. Dashwood and her daughters were forced to leave the place they’ve called home all their lives is quite disheartening. As for the characters, once again, I only liked a couple of the main ones – Marianne, Elinor and their mother. Every other character, although not villainous, has some role to play in the mob psychology that heavily influences the happenings of the novel. Mr. Willoughby is a spineless fool and I couldn’t bring myself to pardon him. The third sister, Margaret, doesn’t really make much of an appearance. At times, you may wonder why Elinor chose to stay silent about her sufferings, but it says a whole lot about the strength of her character. There are some cliches at play in the book, like jilted lovers, condescending mother-in-laws, pedestaling beauty and wealth. Overall, it’s a draggy yet moderately enjoyable read. If you’re looking to try classics, I’d recommend Pride & Prejudice and Persuasion by Jane Austen. On the other hand, if you don’t mind a slow paced book, you could pick this one. Let me know what you think about it, if you have read Sense and Sensibility. What do you get out of it? A slow decent into Victorian society that highlights the errs in judgment and injustices people were accustomed to. Also, this book places great importance on collective living, social life etc. The Aroras are an esteemed family in Palampur, Himachal Pradesh. When the eldest daughter and head of the company, Esha Arora is found murdered in their house, the very foundation of trust in one another starts crumbling as many of them had an ax to grind with the deceased. 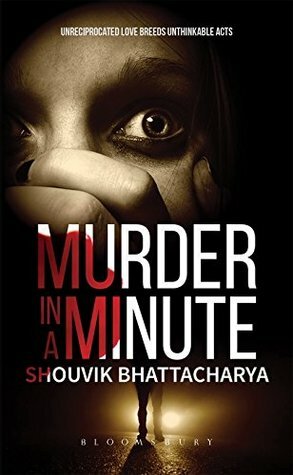 Shouvik Bhattacharya’s debut novel, Murder in a Minute reflects the extremely sensitive nature of the human psyche and how even the smallest of actions can have unfortunate consequences. I haven’t come across any murder-mystery or thriller written by an Indian author that has bowled me over with the sheer brilliance of its plot like this one did. For almost two-thirds of this novel, the pace, albeit fast, is very placid; like the calm before the storm. The last handful of chapters are going to make you INSANE with anticipation. I was anxious and excited all at the same time. I must commend the author for crafting the suspense in such a way that nothing is predictable, which is an essential determinant of whether a suspense novel is going to keep its readers on edge or not. That said, I channeled the psychology student within me and from the very beginning, had stinking suspicion as to who the culprit might be. AND I WAS RIGHT! Taking apart the thought process and actions of all the characters made the reading experience so much more fun. It was an absolute delight! The writing style of the author is punchy, interspersed with analogies and philosophical musings. The plot, much like other murder-mysteries, is the usual as someone of great power is killed off and also, the blame falls on immediate relations. What I found to be interesting is that the so many people in Esha’s surroundings are portrayed sketchily, thereby heightening your doubt as to the identity of the murderer. Moreover, the chapters give you a glimpse of the past. In doing so, it adds more dimension to the story, because you come to glean the equation that Esha had with different people. As far as the characters are concerned, there are some very disagreeable people in the novel. I didn’t really like them or care for them. But being a suspense novel, this book isn’t about character arcs and that’s totally understandable. I’m not sure exactly why, but I found some of the mannerisms of the main inspector to be funny. Few of the themes mirrored by this book are true to the Indian society, like the pressure of following a specific educational field or being intolerant of deviance. Overall, I enjoyed reading this book a great deal and would definitely recommend it to everyone who is into this genre of writing. READ IT, PEOPLE! It’s a rather quick read and I finished most of it in one sitting. How May I Help You? 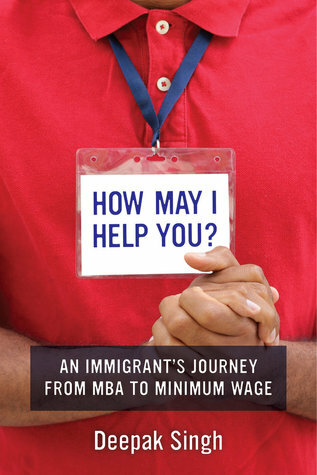 is a memoir that traces Deepak Singh’s experiences in America, as a well educated individual who is compelled to work a minimum wage job. Through chapters that unravel his descent into American society, we are also pulled into the lives of his colleagues and acquaintances who are themselves struggling to get by in a world that is foreshadowed by apathy and fallacy. Spanning across two years and some, this book brings to light the strong culture shock that Deepak deals with, when confronted by an America quite unlike the picture painted by the big screen. What this autobiography succeeds in doing commendably is emphasizing that people may be separated by oceans and borders but we all couldn’t be more alike due to our shared sufferings and encounters. As someone who has aspired to live abroad, the synopsis of this book was very intriguing to me. At the same time, I don’t really read autobiographies. That said, How May I Help You? is a very smooth read, captivating because of its simplistic depiction of a foreign society and earnest in its portrayal of a profession that isn’t held in high esteem. The author’s writing style is very straightforward which I appreciate when it comes to non-fiction; I found myself wanting to finish the book in one sitting. The story is endearing to say the least. I’m sure we’ve all felt lost at some point in time and so Deepak’s sentiments resonate with us. To be stranded in a foreign land, unable to form genuine connections with people there, can be a heartrending experience. I really liked how diverse lifestyles were reflected in addition to Deepak’s. All of which help us get a better understanding of the non-glitzy aspect of living in America. It also draws comparisons to the low income group in India, trying to find a togetherness in the struggles of people across the world. The voice of immigrants and diasporic communities is always a refreshing one and this book is no different. We come to learn just how ignorant people can be about other cultures, misled by popular representations. Kudos to the author for having aptly delineated themes of poverty, loneliness, camaraderie and personal growth. Don’t be intimidated by the harsh realities that are mirrored here; it is one that we should acknowledge. All in all, I really liked this book and it has encouraged me to pick up other memoirs. I would definitely recommend it to everyone; whether you read autobiographies or not, DON’T MISS OUT ON THIS! What do you get out of it? An honest glimpse of what it means to be working abroad, devoid of any sugar coating. And a taste of culturally diverse mindsets. Thank you Penguin India for sending me this book in exchange for a review. Why I Would Move to Bangkok at a Moment’s Notice. Recently, I had the good fortune of traveling to Thailand. It was a long due family trip and we tried to make the best of our 7 days in Thailand by visiting Bangkok and Phuket. Now, the two couldn’t be more different from the other. The former is a city paradise and the latter is a mountainous getaway island. Both, however, offer a great many things to do. I’m more of a city girl, enjoying the fast paced life. Brooklyn, Seoul and Bangkok are the places my dreams are made of. So, when we landed in Bangkok for our three-ish day sojourn, I was totally mesmerized. It’s seamless merging of the high and low life reminded you of what’s most important in life – experiences. You’d see some of the most expensive boutiques and restaurants interspersed on a lane that offers fantastic street food and light on the wallet shops. The crowd and cleanliness of a place is always in question when it comes to a metropolitan city. Bangkok is not as crowded as some other major cities, but at any given time, you will find a decent amount of people on the road and in the eateries. They may be leisurely strolling on the well maintained pavements or cruising the city on sleek/ worn out automobiles. You’ll find a good mixture of attractive two wheelers as well as cars. The locals are very polite and respectable. Some of them tend to get very chatty and it makes you feel like they are super welcoming towards foreigners. Bowing and joining hands in appreciation are finely ingrained into their culture. I’ve lived in a couple of different places during the course of my life so far, but I must say, Bangkok is spick and span! There’s no litter everywhere and the place definitely scores a lot of hygiene points. Their clothing style is in keeping with trends, but also perfectly comfortable. You’ll see a lot of halters and dresses, in addition to elegant palazzos. Another thing I really like about Bangkok is that people enjoy the freedom to wear whatever outfit they want to; nobody really stares or makes you feel uncomfortable. I packed light and so most of my tops had spaghetti straps and a majority of the bottom wear were shorts – something I wouldn’t do in India very often. Bangkok has malls as well as sites of historic preservation. It’s culture shines through these temples and old ruins, wherein you’ll find information pertaining to the country’s past. If you do visit any such places of worship, make sure that your attire is respectful. Thai cuisine can be extremely spicy or even sweet sometimes. But most importantly, the aroma that wafts from Thai rice is simply irresistible. Rice and noodles are integral components of their diet. That being said, in every dish you’ll find an assortment of vegetables and meat (for those who enjoy non-vegetarian food). I found their portions to be much larger than what my appetite could handle, but that’s no problem. Tod Mun Goong is a Thai shrimp cake dish accompanied by a fantastic serving of palm sauce. I’m definitely going to try to recreate that sauce. Here’s a travel tip – Visit one of the department stores and pick up some different snacks. You’ll get to know what works in the city. Two of my only concerns about staying in Bangkok are language barrier and cost of living. Provisions and clothes aren’t expensive at all; you can buy good looking outfits and all the grocery you may ever need for very little Baht (Thai currency). But the real estate business is sky high. Buying or renting a place in Bangkok won’t be easy. Moreover, we encountered great difficulty in communicating our needs to some of the service providers like taxi drivers and hotel staff. It’s entirely too arrogant to expect that the people of a different country would speak English. English is not their language. So, the next time I go to Bangkok, I’ll be sure to learn the basics of their language beforehand. It also gives them (the locals) a sense of joy because you’re making an effort. If you’re planning a trip there, don’t rush it. Enjoy a good week or so, because there’s plenty to do. I loved everything that the city had to offer and would be ecstatic to make it my home someday. But until then, my memories of the trip will hold me aloft. Thank you Penguin Random House for sending me a copy of this book in exchange for an honest review. 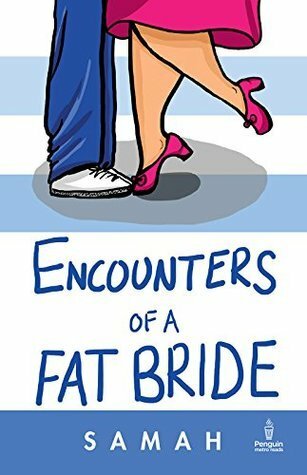 Encounters of a Fat Bride unveils the humiliation and harsh circumstances that an overweight woman has to undergo in order to find a groom in India. Madhurima Pandey has learnt to set aside her complex about feeling like the quintessential DUFF (Designated Ugly Fat Friend). While all her friends find fairytale-esque romances, Madhu has devoted her time to work and study, so as to steer clear of the reality that no man in his right mind would ever choose her. But as per societal norms, marriage is the most essential rite of initiation into adulthood. And soon, her middle class family begins to invite a bevy of eligible men in the hopes that one of them would accept Madhu into their household. Samah Visaria’s novel aptly reflects the age-old customs of dowry and arranged marriage, complete with nosy neighbors and body-shaming parents of potential grooms. It should be noted that some people may view this novel as being offensive, but I assure you that it is not. The author, in no way, propagates discriminating against “fat” brides. She is merely trying to convey to the audience that women should be confident regardless of their physical appearances. As lighthearted as this book is, it also approaches some very serious issues like that of fat-shaming, mental health disorder, the dowry system (wherein the family of the bride compensates the groom’s family in cash or kind for going ahead with the marriage) and gender bias. While a lot of these issues are dealt with rationally, I wasn’t comfortable with the way mental health disorders were handled. You begin to think that Madhu is a very mature and educated woman, but then her sidelining of mental instability as “retarded” or “losing it” is totally not acceptable. On the other hand, through Madhu’s strength of character, we see how other negative elements are treated strictly. Her acceptance of her body image and understanding that all genders ought to be equal attempts to remove society’s misconceptions. What’s unique is that the chapter titles feature a countdown; so you are made aware of the ending but you don’t know how that transpires. See, there’s some mystery in there too. The author’s writing style is colloquial, humorous and incorporates few Hindi terms. There are a couple of cliches, but nothing major. She makes several references to the movie industry, juxtaposing Madhu’s behavior and feelings which made light of the situation at hand. The narration is so convincing that I’d feel just as infuriated at society as Madhu does. I mean, it is appalling that people expect you to be a certain way and if you aren’t, they rain down the most horrible comments on you. I really liked the plot because it is still so relevant. Some aspects of the story were a little over the top, but you can’t expect anything less from a dramatic character like Madhu. Her character arc sees quite a change throughout the novel. Initially, she is against the idea of arrange marriage, then tired of being lonely, she begins to crave it. Even her outlook undergoes certain essential changes. Without a doubt, Madhu’s funny quips renders the entire novel so enjoyable that I finished it in one sitting. I liked the book and I look forward to anything else the author may write in the future. You should check it out! Ratings – 3.5 out of 5 stars.